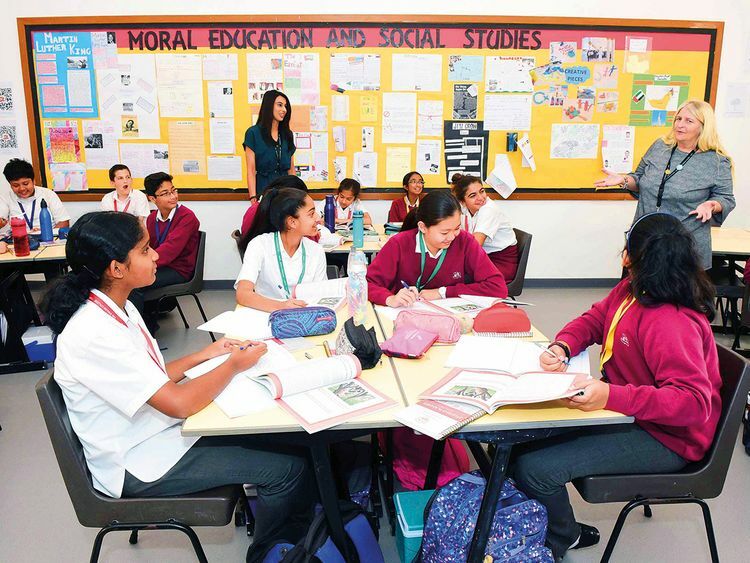 Abu Dhabi: UAE schools will on Sunday start administering the Moral Education Standardised Assessment (MESA) measuring the performance of the Moral Education curriculum. Running until Thursday, MESA will be implemented in 78 schools in the UAE, covering more than 10,000 students from grades three, five, seven, and nine. MESA, conducted independently and uniformly, measures students’ understanding of Moral Education, the effectiveness of the curriculum, and its impact on the development of students’ personalities. MESA is administered to students as a computer-based exercise, adapted to each grade, which utilises a combination of knowledge recall and situational judgement tasks to assess the program’s overall effectiveness in teaching morals to students. For each of the four grades being sampled (three, five, seven, and nine), there are three versions (A, B, C). There is a common set of items across each of the versions, with another set unique to each version. The purpose of having multiple versions is to maximise coverage of the curriculum. MESA will be distributed in Arabic and English according to the language taught in the classroom. The platform for these tailored assessments was developed in partnership with testing organisation ACT Inc, known for standardised testing covering over two million high school students worldwide. ACT will also monitor the assessment system and produce results to be announced later in the year. Meanwhile, the Moral Education Programme engaged ConnecME as ACT’s local implementation partner in the UAE, with the organisation overseeing the distribution of the trial to 78 schools, with representatives visiting schools over the five-day assessment period. MESA is one of the tools to measure the performance of the Moral Education curriculum that is implemented in public and private schools since its inception in 2017. In addition to its programme of school visits and a national survey, other tools include social media engagement and analysis of educational outcome KPIs. The Moral Education programme recently conducted a survey of 617 schools, supported by field visits to 48 public and private schools in the UAE. Field visits to 50 other schools are under way. MESA, meanwhile, is designed to be at the same level as the international measurement assessments, such as PISA, TIMMS, PIRLS, and the ACT itself. The UAE Moral Education Programme, which was first launched in 2016 under the directives of His Highness Shaikh Mohammad Bin Zayed Al Nahyan, Crown Prince of Abu Dhabi and Deputy Supreme Commander of the UAE Armed Forces, aims to nurture young people with core moral values that are rooted in local culture yet acknowledge shared universal human values. Delivered as a holistic curriculum for all ages and nationalities, the programme was fully rolled out in all public and private schools across the UAE, covering grades one to nine in September 2017 and extended to grades 10 to 12 in September 2018. It follows that, as of current academic year, there are more than one million students receiving Moral Education in UAE schools. Based around the four pillars of the Moral Education curriculum, the aim of the programme is to build character, instill moral outlook, foster community and endear culture, using contexts that include the holistic environment of the school, the home, extended family and the wider community, locally and globally.